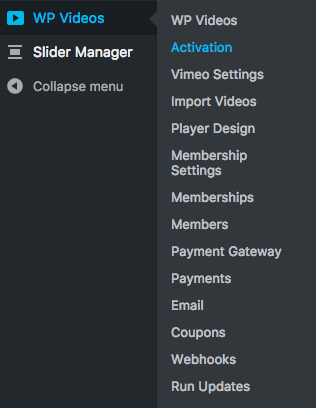 If you have already downloaded and installed the WP Videos plugin, VS Netflix Theme and / or WP Video Memberships plugin, you can skip this step. Find the plugin .zip file you would like to upload and press the Install Now button. *These will be the downloaded .zip files from links provided above. Then press the Activate button. Your website should then be activated. If you see this message, login to WP Video Subscriptions and find the Subscriptions tab in your account. Click on the Website URLs tab to display any websites that may already be active. If there is a website URL there that does not match the URL you are trying to activate on, simply remove it using the red trash can icon. 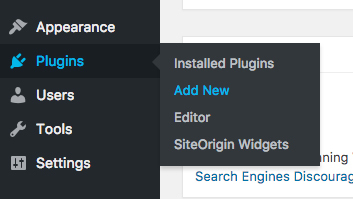 You can then Activate your new website URL from within your WordPress dashboard. Note: If you update your website from HTTP to HTTPS, you will need to remove the old HTTP website url from your Website URLs and reactivate using the new HTTPS address. If you still cannot Activate your website, please check your Subscriptions page within your account on WP Video Subscriptions.